Libra June 2015 Horoscope predictions forecast that you need to balance independence and social skills to meet your targets in life. You have to resort to consensus and flexibility sometimes, while hard work will yield results during other times. In June 2015, career and personal objectives will rule your lives. You cannot ignore the need for harmony on the domestic front while you are running after your ambitions. The Libra monthly horoscopes for June 2015 predict that your accomplishments in your career will be solid and sustainable over a long period. However this will increase your accountability to your job coupled with more effort. Businessmen will be judged by their capacity to complete their targets on time. 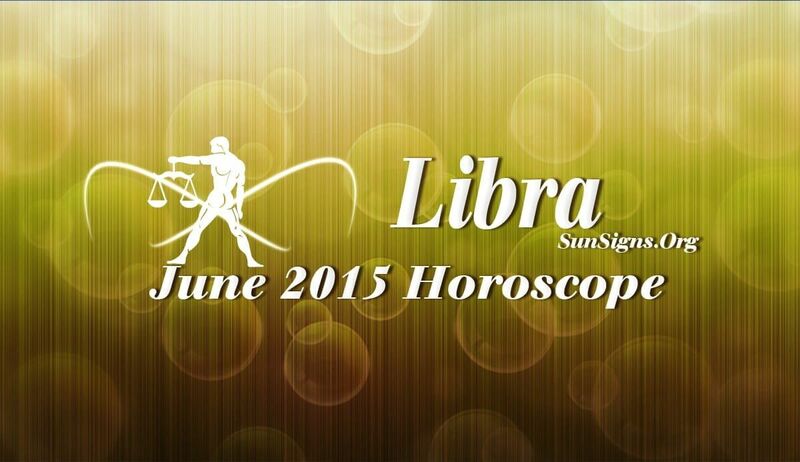 Finances are mixed during the month of June 2015 for the Libra zodiac sign. You should avoid speculative investments. All financial decisions should be taken after proper examination. Money will be proportional to your efforts. Eliminate unnecessary spending in June 2015. The June 2015 Libra astrology predicts that love will happen at the work place or fitness centers and the relationship might breakup abruptly. Couples in love will have a sexually stimulating and joyful month. There will be plenty of partying and celebrations for singles who are dating. This is the ideal time to get pregnant. The health predictions for the Librans are positive for June 2015. Take steps to reduce tension to stay healthy. Try to cut down on your sugar intake. Avoid red meat, junk and spicy food at all costs.